We're always on the look out for new style ideas and interesting ways to decorate, which is why this trend caught our eye. 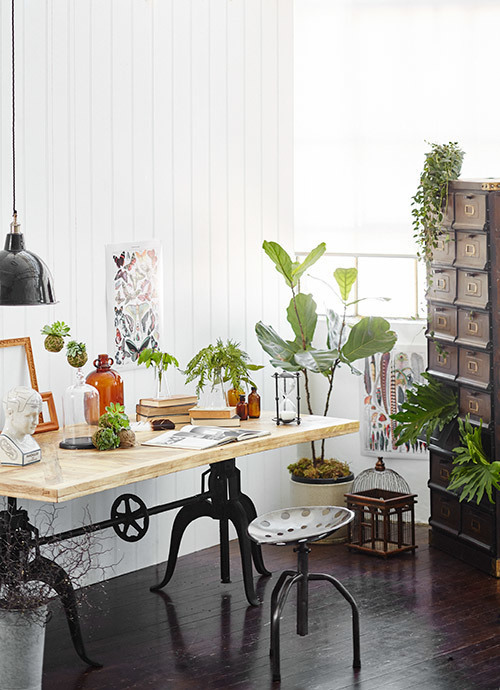 It's a mix of vintage industrial furniture and botanical prints with lab-inspired glassware and lots of greenery. It ticks a lot of boxes for us - we love the collected feel, the mix of rustic and refined elements and the airy, loft-inspired vibe. Here's a look at the images that inspired our buying and creative teams as we put together our Greenhouse sale event. 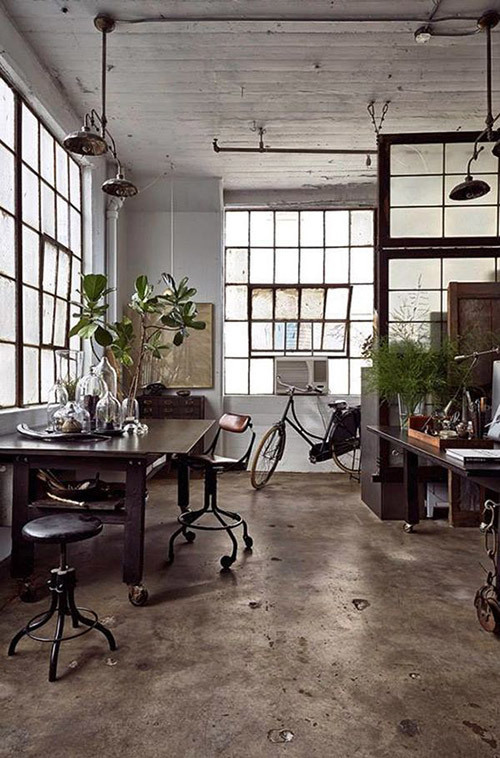 In a classic loft-turned-office, raw concrete floors and original lighting is complemented by black furniture and a collection of glass cloches, catching the light streaming in through huge framed windows. 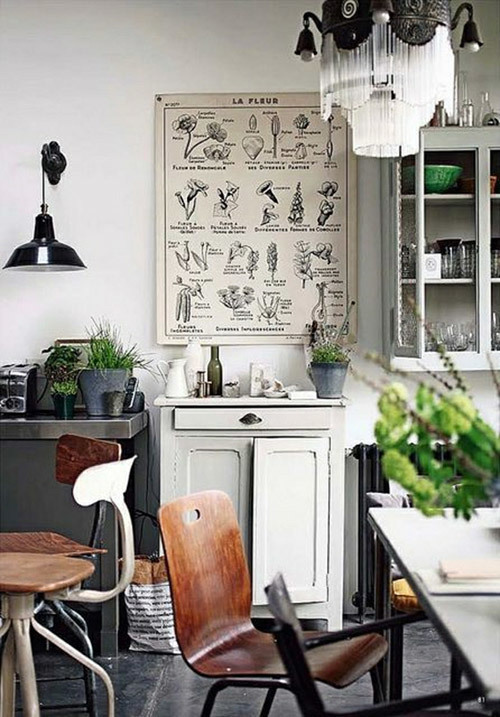 A laboratory-inspired space features mismatched chairs and a vintage style botanical poster. Indoor plants provide a welcome shot of colour, and are tied together with a green bowl in a high cupboard. A collection of green glass vessels in generously curved shapes catch the light, and act as a contrast to the symmetrical grid of the window frame. 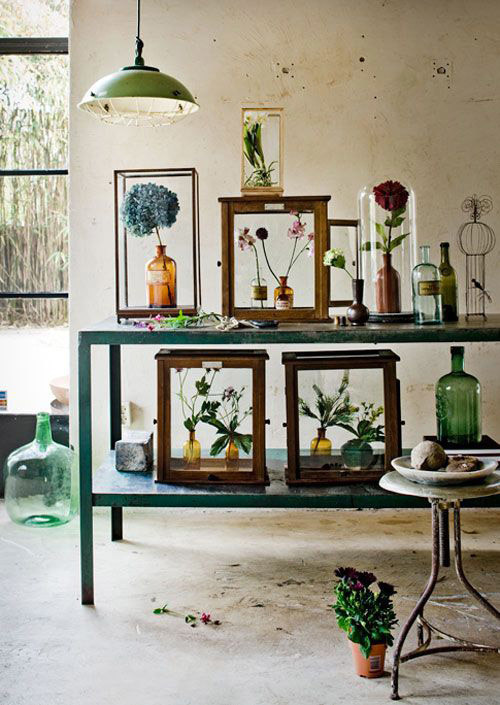 We love these timber-framed glass boxes, elevating single stems and found objects to specimen status. Again, green plays a supporting role in a hanging pendant and several glass bottles. 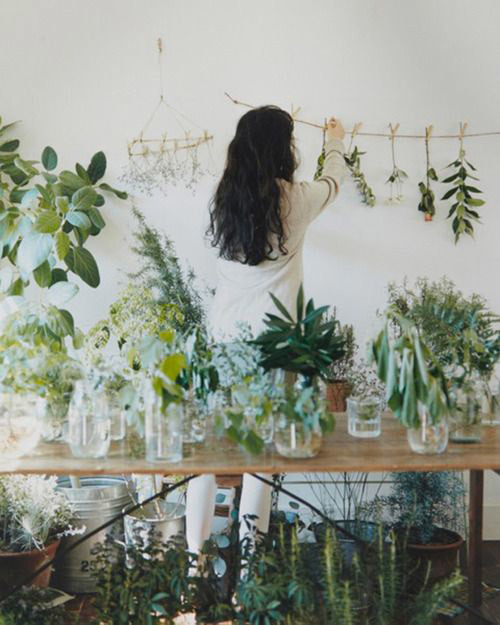 This look is enhanced on plant life and greenery, from modest stems to more leafy branches. Here a display is created using single stems with pegs and string. 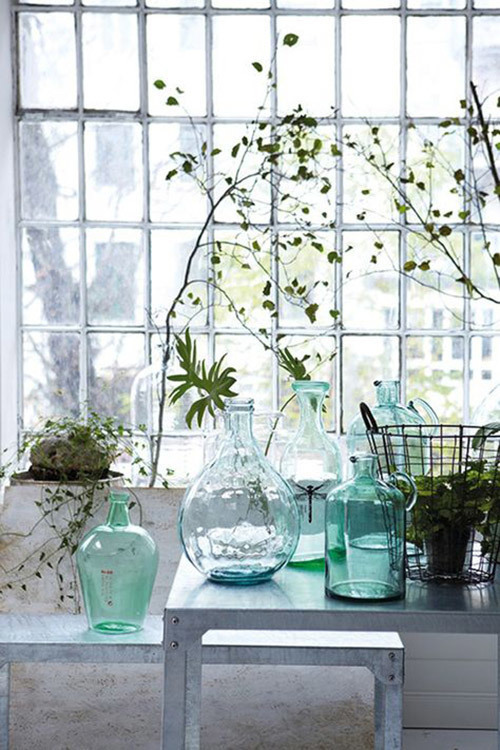 One way to incorporate the look is with a collection of glass vessels in varying heights and shapes. 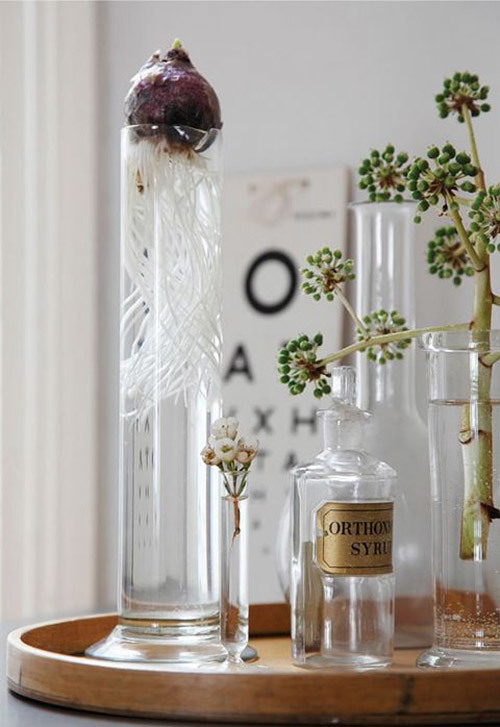 Even the tiniest stems become heroes when placed in a slim rube vase. Let us know what you think of this look, and follow us on Pinterest for more inspiration.